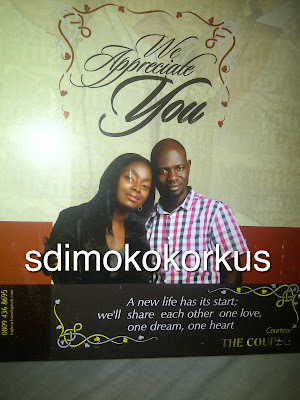 Home/News/RCCG Groom calls off wedding to Bride at the altar! Stories we hear…..a certain young lady just shared this story on SDK, she claims it was witnessed by her neighbor….read on! The bride, Cynthia worked for her and was said to be an orphan thus had become her adopted daughter. test the day before the wedding and the result turned out POSITIVE. come get K-leg be say the guy had never slept with the girl! their own doctor and again their own test read POSITIVE! other tests in different centers, all came out NEGATIVE. bought any of those things o! hands on, meanwhile they all went back with their gifts oh! thing happened to Mary in the bible and Joseph still accepted her!. I support what the groom did, if truly he never slept with her and she's pregnant then who is responsible, it means the girl in question is not faithful. in my Church once pregnancy test is positive, the marriage is called off, its a means to induce self control, purity and faithfulness in marriage or couples who are about to get married! Kemi, you are a disappointment! Your last statement was rubbish. Both the Quaran and the Bible acknowledge Mary's pregnancy being from God. Can such a thing happen these days? How can a woman be pregnant without sleeping with a man? and how can a church like RCCG lie against "an innocent orphan"? mr anonymous you are wrong and the bigger disappointment. a woman can get pregnant by anybody apart from her future husband. It is stated clearly, so why the beef on kemi. secondly mary in d bible is different. Nice reply except for d disap….statement. U blunt sha. I am telling you bro. Why dress up for d wedding in d first place when you know the church won't join you together sine you are already preggers? This story get K leg… I think i'll be a #DoubtingThomas in this matter. Nice one jor!! 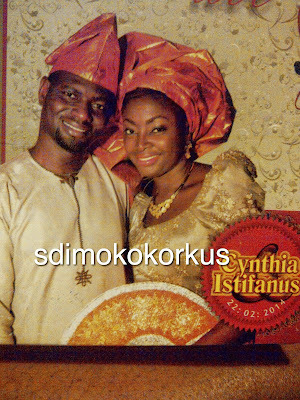 At least we can see Names & invitation card……who wan stand 4 dat situation dey snap pix……. The story is really story know the lady. God will help us. But good for the guy too, he was looking for a saint as a wife and he landed on Satan. In all things, lets give God the Glory for there is reason/s for everything that happens here on earth or in heaven. Instead of apportioning blames lets pray for God’s mercy and directives to both the groom and bride. And you remove the log in your eyes first before trying to remove the one in another person’s eye.